Dining rooms, dens, offices, family rooms and even bathrooms – tables are a big part of the design of almost every room in your house. 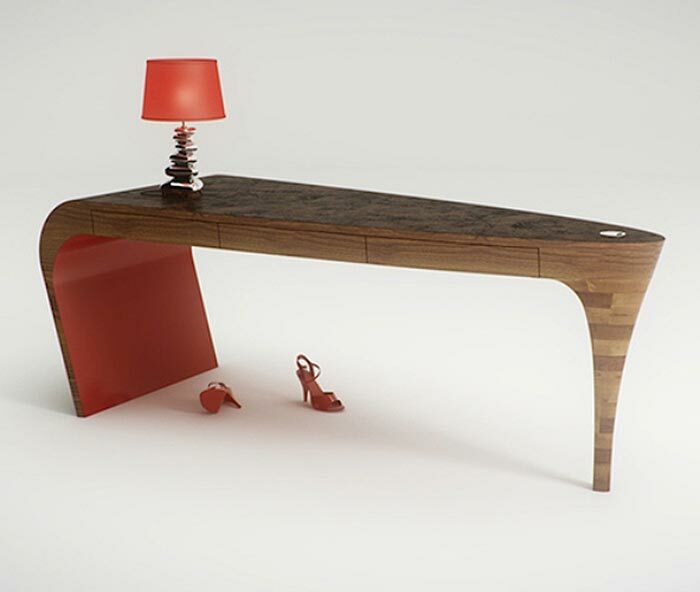 If there is a SHOE table, ya gotta know I’d find it! A table after my own heart. You know how I DIG shoes and this is one big shoe made of Walnut, my favorite wood. This is my favorite of the cool designs we found. 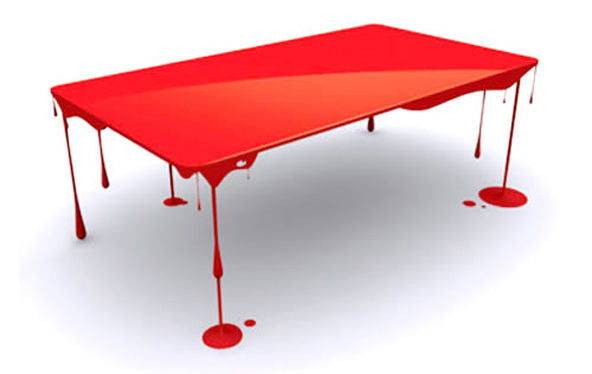 Loving this sticky looking, drippy RED HOT design by John Nouanesing! Bravo to John Nouanesing for thinking outside the box on this one ~ OXOX ~. 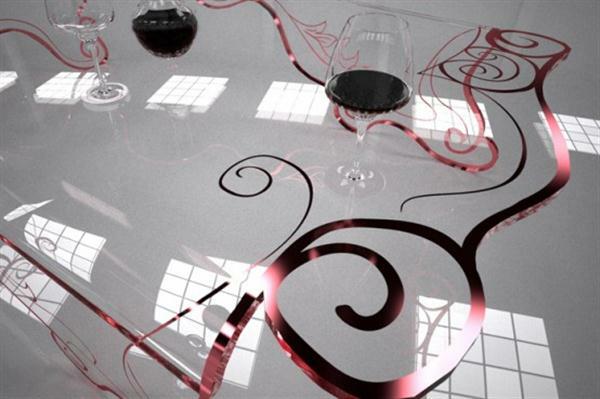 Baroque-themed coffee table inspired by a Tim Burton film was affectionately titled “Tim and Mary”. 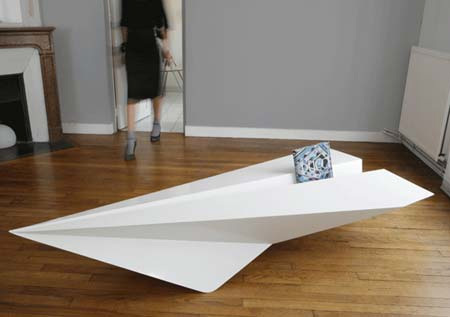 To me this coffee table is so light and non-heavy and just adds artwork to any room. So often a piece of furniture is overpowering to a space and this coffee table makes me just want to stare. 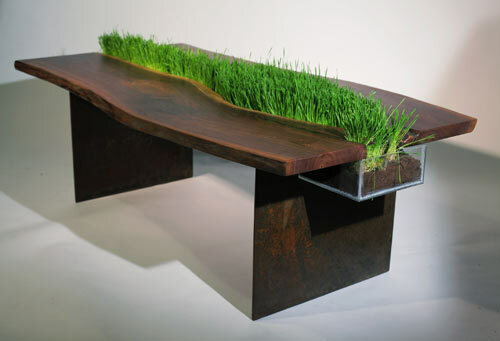 Well we know Emily’s passion is all about “green” and she has displayed it well with a Walnut table that grows wheat grass right down the middle. 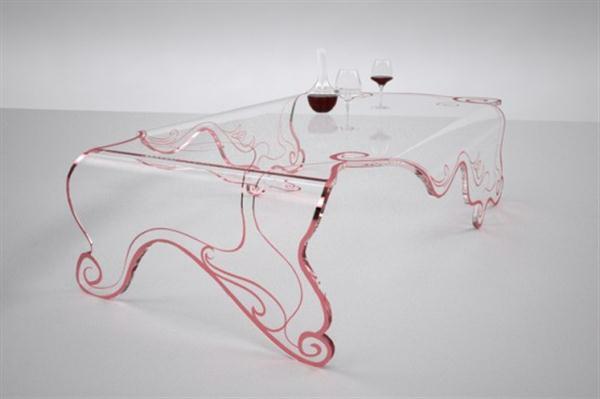 A very creative and unique table design but, way too much work for moi. For the love of aeronautics! Really…I dig it, or I should say my late father would dig it, as he was an Air Force pilot…this one’s for you dad! Joss and Main – Check out their daily flash sales to get boutique and designer furniture at 70% off. Layla Grayce – Seriously – some of the most unique designs we’ve seen a long time. Check out their selection for some real inspiration. 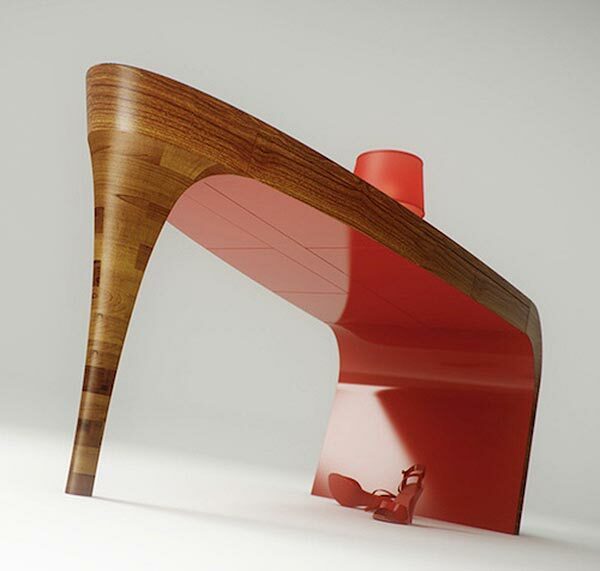 BurkeDecor.com – Desks, coffee tables and more – there are tons of unique yet traditional (not too crazy!) designs here. Thanks for your interest. I will research this and try to get back with you soon with an answer.